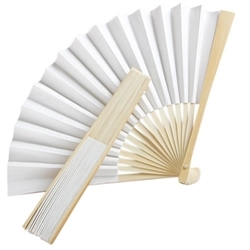 Great for a summer wedding, this elegant white folding fan brings a cool breeze to any outdoor event. 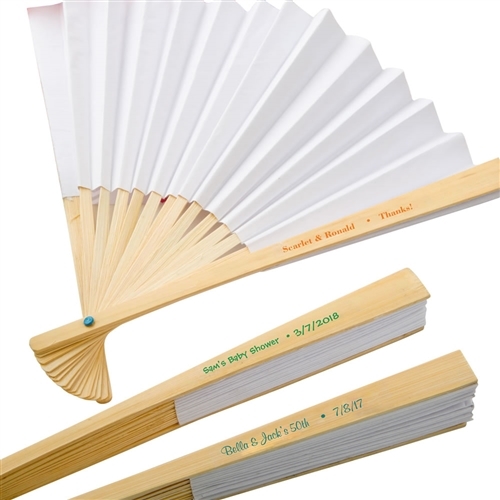 Each 8" paper and wood folding fan has a light wood finish with a collapsible ribbing structure covered by the outstretched whit paper fan. Each folding fan comes in a white box.